MAKING HAND CALLING GREAT AGAIN! So I got in my head recently that I was going to have a couple new toneboards made. 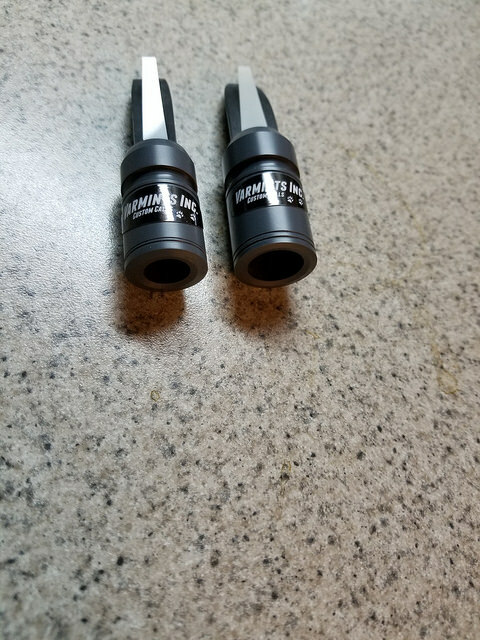 I had some plans drawn up for machining and 3D printing, and had both done. The 3D printing was fun. I had them done in low res and a high res version for kicks. I had several configurations made, and although they are all good, I decided just to do it myself with my metal lathe and mini-mill. I have made hundreds of toneboards by hand, and take some pride in that, so I did my thing. I wanted a little wider board for the Deathpunch, so I did a full 3/4" board. After molding, I will usually dovetail those a bit to make them a little more narrow toward the tip. I milled a 5/32" air channel in it, then cut the ramp/curve on a rotary table. In the end though, I ended up doing that part by hand...and it came out great. 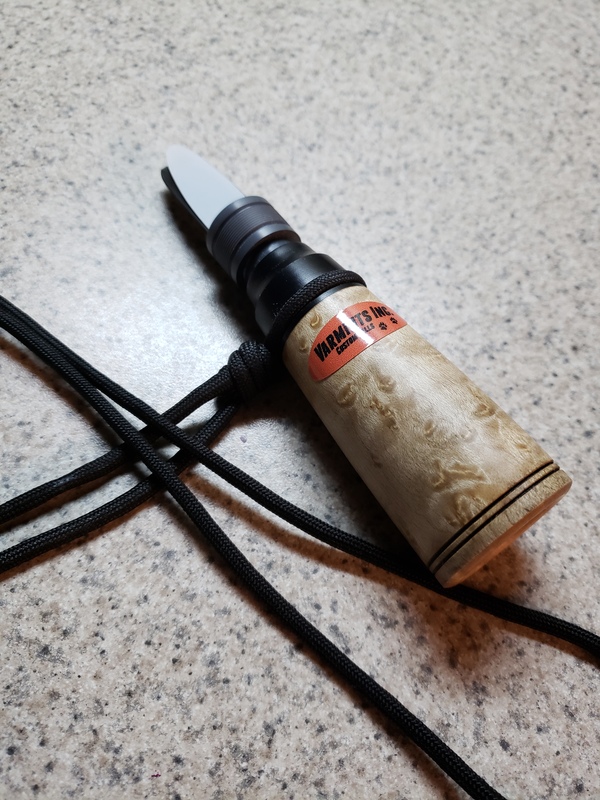 I like my calls to have some power,..as in being able to get good volume and rasp in the middle and at the base of the reed without having the call cut out or collapsing a lung..as well a some finesse at the tip. I like an easy blowing call that you can control...which imo makes a call enjoyable to use. I ended up with a great board that does a lot of thing well. Next Ill build some molds so I can make lots of boards. Although my original plan was to have these CNC machined...for now, I think Ill continue to mold them in my shop by hand right now. I have no idea why I torture myself tinkering with and making these damn things. 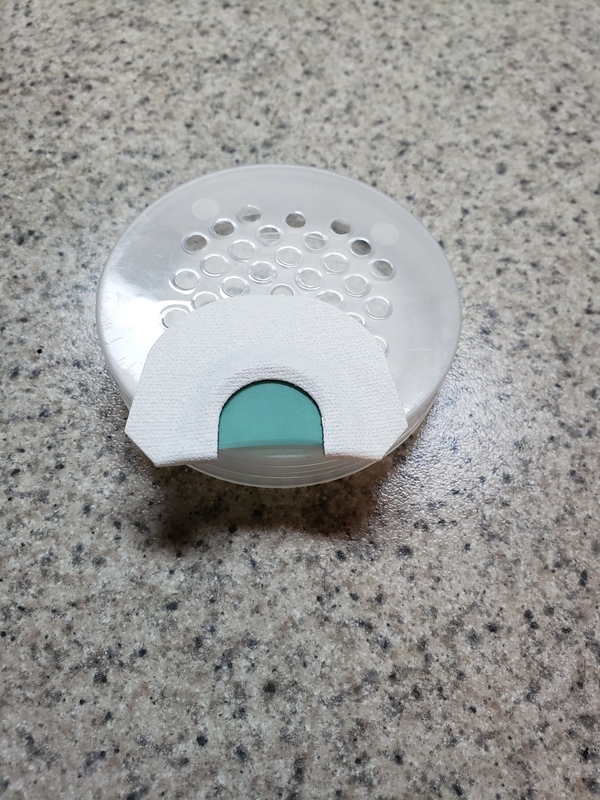 The Sweetpea and Deuce will have updated boards as well, still sticking with the 1/2" size. I also have a little howler in the works. Anways, thats whats up with the open reeds at this point. A couple pics of the Deathpunch board in progress, in no particular order and obviously not finished. Couple more old style enclosed reeds. Arizona mesquite and cherry. 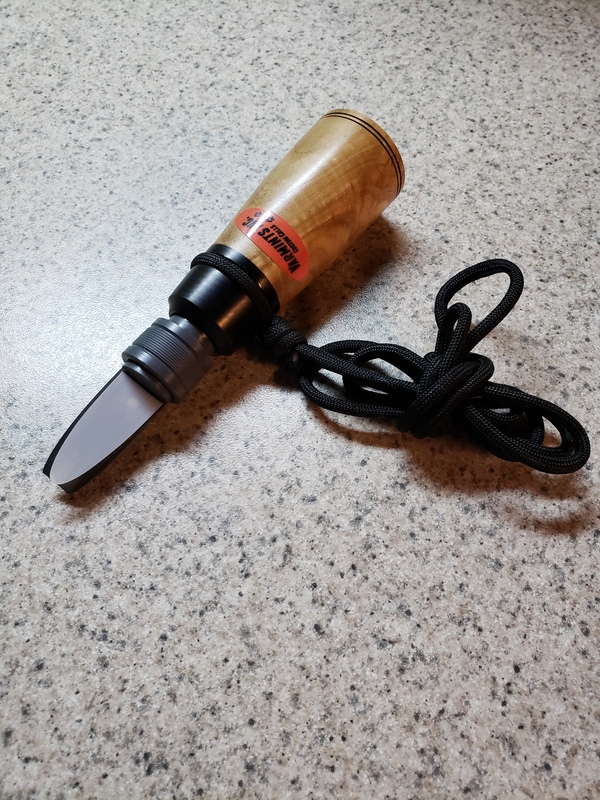 Fun to make...simple cottontail screamer...Circe style. This is the first one of this style. 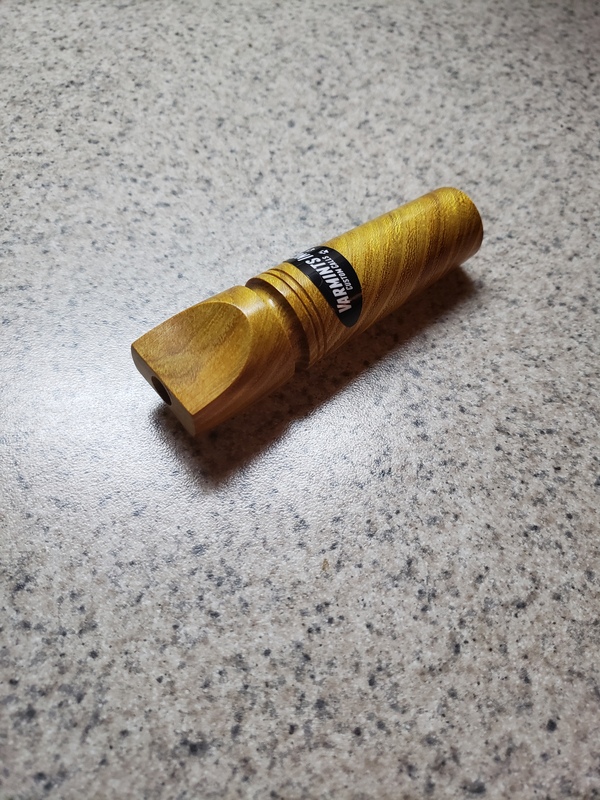 Ive always liked the scalloped lip rest of those old calls, along with the simple shape. Ive added a coaxer to the barrel of mine, and the internals are the same as my other wood enclosed reeds. This one aint perfect...the coaxer reed is not perfectly inline with the lip rest, its a tiny bit off center. I built a couple of jigs to line things up but looks like Ill have to tweak em a little. All in all though, it turned out perty good. Might post it for sale? Built myself a new howler today. Its turned out of Ash and Jet-Phen micarta. 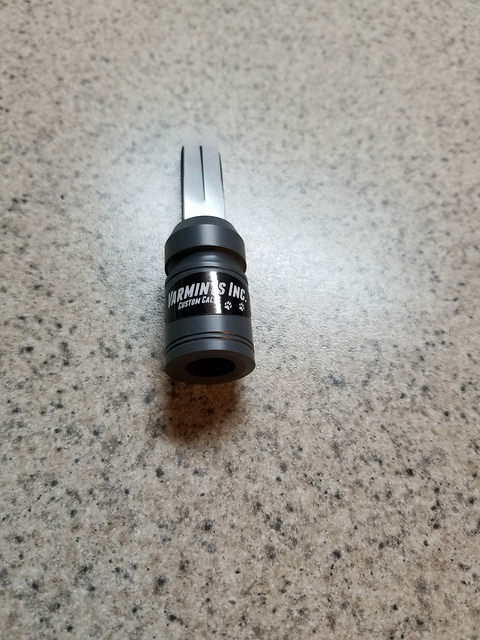 Mouthpiece is machined out of polymer with a standard .010 thick reed. Turning up some custom howlers. These are Thompson style, but most everything on them is different. I always liked the deeper barks and howls you can get out this style if toneboard. Super easy to get high pitched puppy whines etc. as well. Camaru and blackwood...getting ready to get sleeves and reeds istalled. 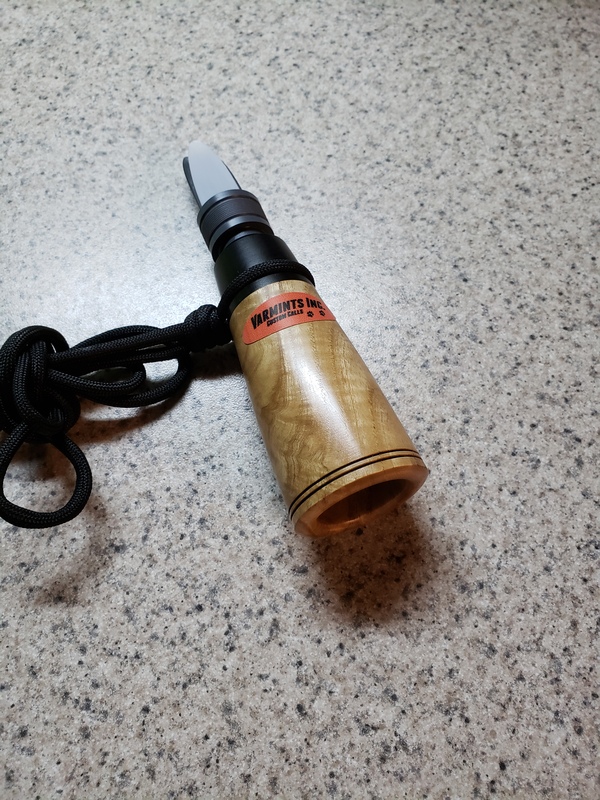 This is a new, 2 reed lightweight howler. Its made with super thin latex that makes it easy to blow and control. Great for higher pitched howls, puppy whines and ki-yi's. This newest call to the lineup is the Deuce. 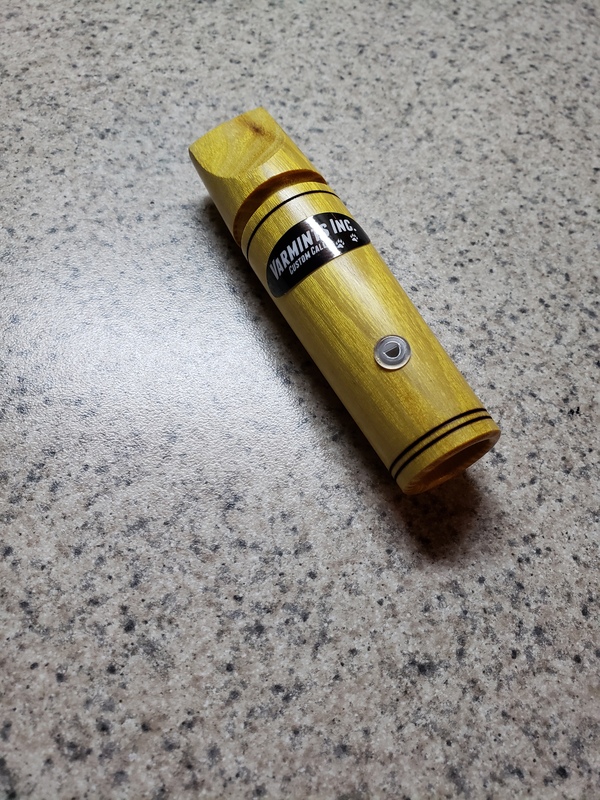 It is a small open reed with a dual air channel toneboard. It is high pitched and can get raspy on the low end too. Great call for fox and cats. Great bird sounds with that two tone birdy squeal when you get out on the tip. This call is the same size as the Sweetpea. 1/2" toneboard and bore. Super call to have in your arsenal. 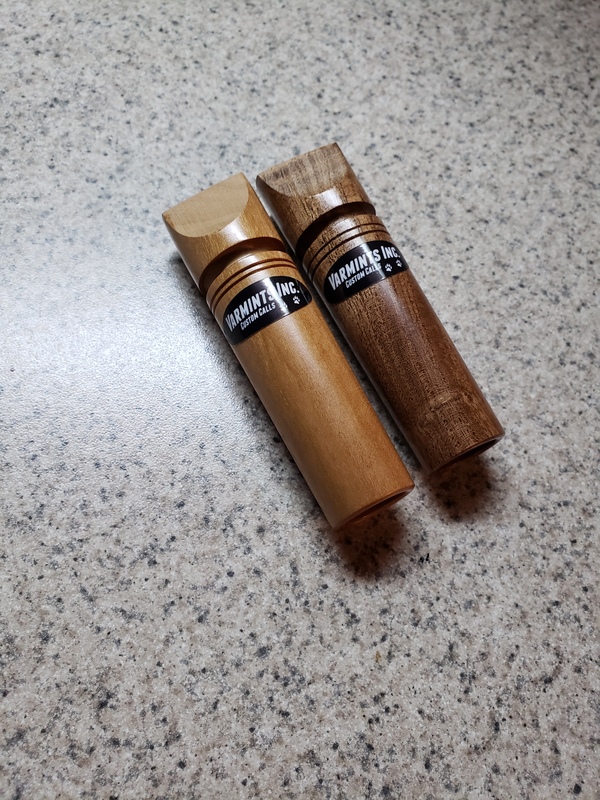 Released these two open reed calls recently. Always trying to improve my calls, and they all may evolve in the future. I described the Sweetpea a bit in a post below. The Deathpunch is a bigger call. It has a 5/8 toneboard with a bigger air channel The reed is standard .010 with a tapered cut.. The exhaust/bore is 5/8 as well. It is brassy and loud for a call this size. 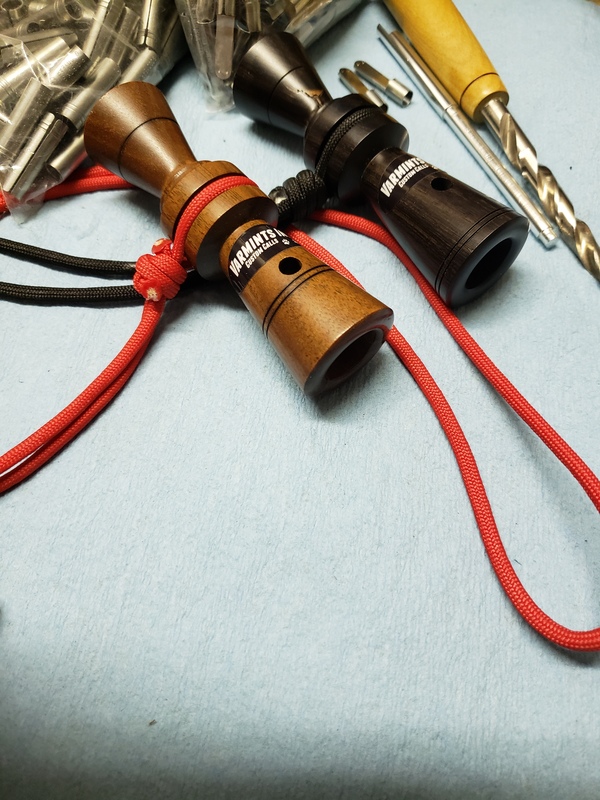 These calls are designed with a short exhaust that makes the call responsive and the sounds crisp and clear. 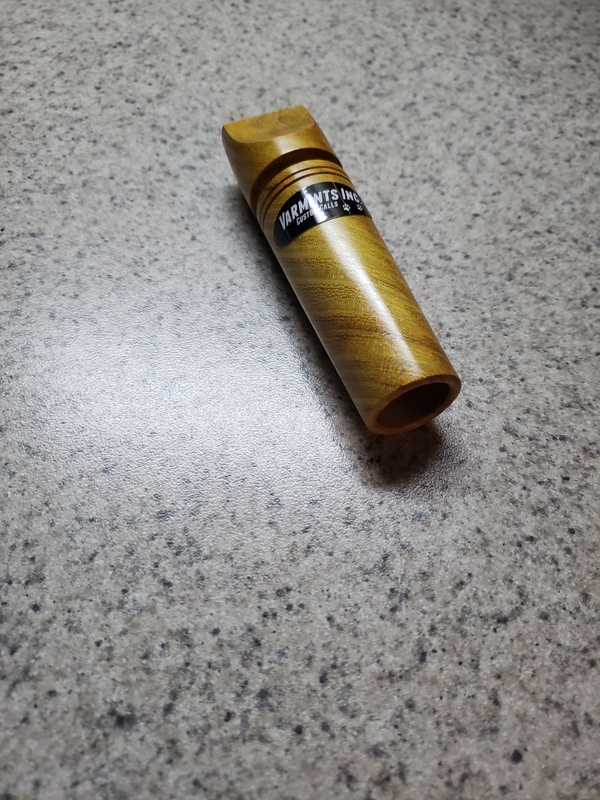 To many open reed calls out there are made with long, deep exhaust/bores that deepen and restrict the sound so much that you cant get a good range of sounds out of them. They just sound flat and muddy. They may look good, but they are really hampered by that design in my opinion. 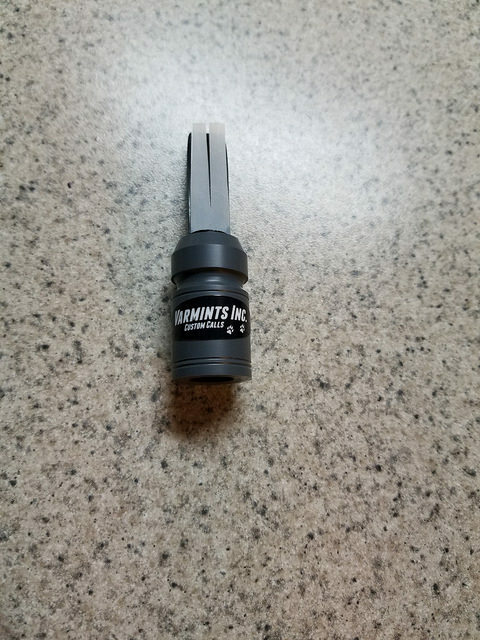 There are just to many predator call makers out there that are using the duck call shape and size for thier open reed calls, and Ill add, enclosed reed calls as well. 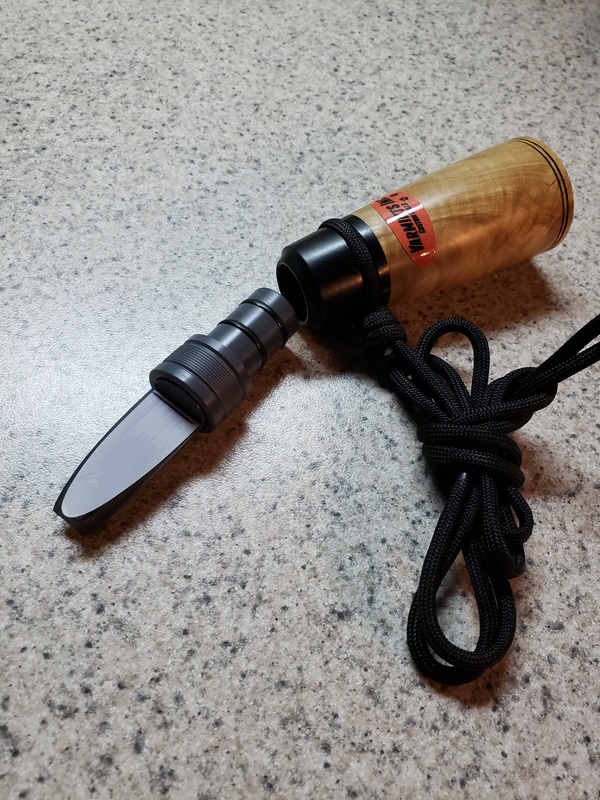 Weve all done it, Its a sharp look, but I just believe in designing a call around the intended purpose...chase the sound and performance first, not the look. JMO.